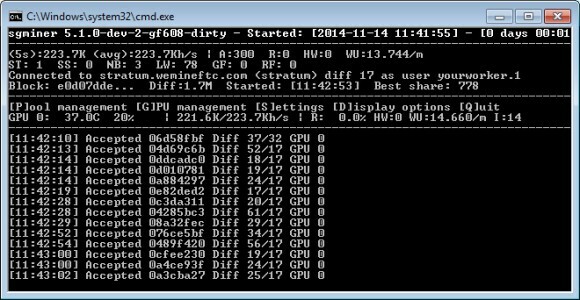 When the new sgminer 5 develop version was updated to include the latest Neoscrypt OpenCL kernel from Wolf9466 a few days ago it has turned out that the latest performance optimizations do break compatibility with Nvidia cards as well as with the latest AMD video drivers. The solution was to use older AMD Radeon drivers to generate the kernel binary and them get back to the latest, but now there is an even easier workaround that was discovered by an user called insanid from the Feathercoin forum that does not require you to instal different drivers. All you have to do is to include the OpenCL libraries from an older driver such as 14.6 or 14.7 in the folder of the sgminer and the miner will generate properly the kernel binary file. 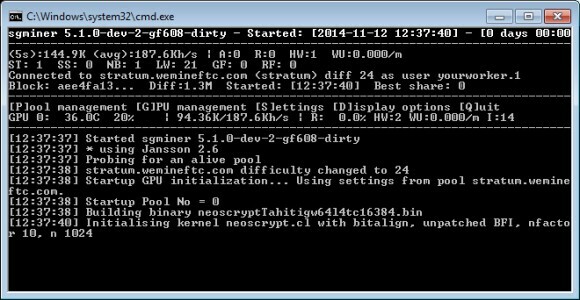 Then you can either run sgminer for Neoscrypt with these DLL files in the folder or remove them and use the ones installed by the latest video drivers such as 14.9. To make it easier for you we have included the OpenCL DLL libraries in our windows binary compilation of the latest sgminer 5 development branch (source) and you can download the full package from the link below and try this workaround yourself. The newest development version of sgminer 5 (source) now includes an updated kernel for the Neoscrypt crypto algorithm by Wolf9466 that increases the hashrate significantly from the previous release. There is a catch however, the new kernel does not work anymore on Nvidia GPUs, you need to use the previus release for these. Also it seems that the latest kernel optimizations break support for the latest 14.9 AMD drivers, at least on Windows, so you need to use an older driver version (14.6 or 14.7 for example) to generate the kernel binary and then update again to the latest driver for the maximum performance (much like with the older cgminer 3.7.7 fork with Neoscrypt). The new OpenCL kernel is designed to be used with Worksize of 64 for optimum performance and with it you should be able to achieve hashrate of up to about 200-250 KHS or even more with Radeon R9 280X GPU or up to abut 250-300 KHS for Radeon R9 290/290X. We have compiled a windows binary that includes the latest optimized kernel that you can download and try from the link below, if you try it out feel free to share your results from using it.